The Boo Roo and Tigger Too household all seem to love their LEGO, whether it is Roo with her LEGO Friends, Tigger with his LEGO City or Mr. Boo with his LEGO Star Wars and Super Heroes collection. Every Sunday you’ll find Tigger requesting to build from LEGO with Mr. Boo as soon as he gets up. They will happily sit for hours building different things from the various LEGO pieces they have. 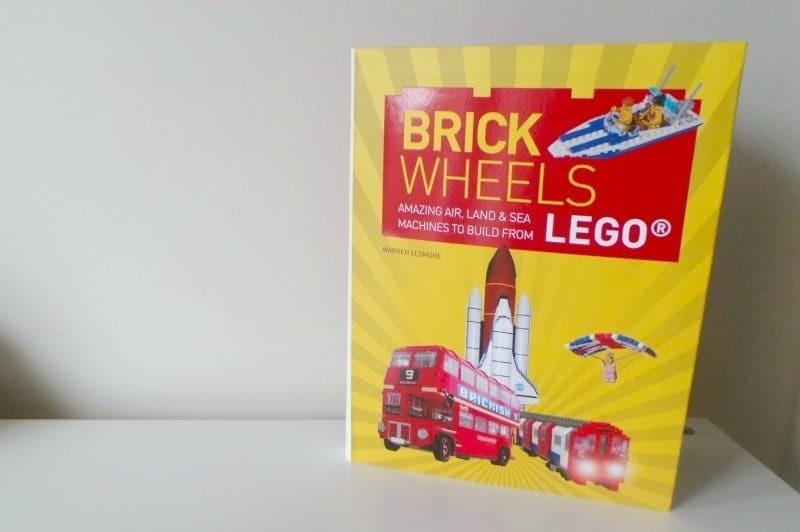 With Father’s Day coming up I thought it only fitting to get Mr. Boo the Brick Wheels: Amazing Air, Land & Sea Machines to Build from LEGO book – filled with ideas for what he and Tigger can build together. 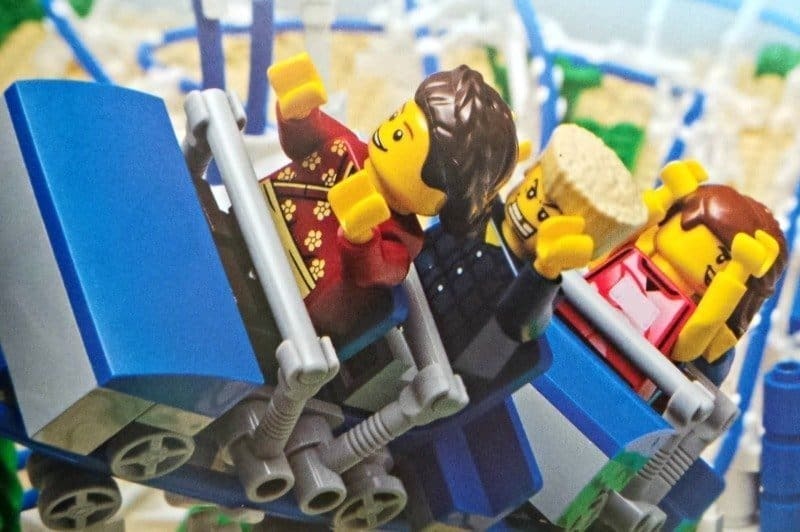 Using LEGO® bricks, artist Warren Elsmore and friends create stunning road, rail, water and air transport scenes. From the steam locomotive to the high-speed train and the penny farthing bicycle to the stylish scooter, these projects will inspire and inform readers of all ages. Brick Wheels showcases over 60 vehicles in LEGO®-brick form and there are clear instructions for the 30 smaller models so that you can replicate them yourself. This is a great book for any LEGO fan, whether they are young or old. With a range of different vehicles to build the hard part will be deciding which one to make first – although personally, I love the red London bus. Previous Post: « What’s new from Nutmeg this Autumn/Winter?